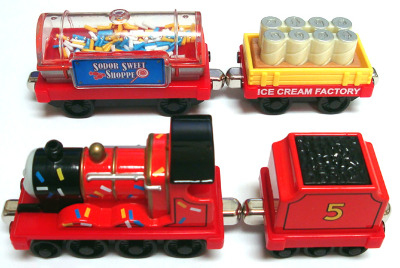 This metal 4 piece train works with Thomas Take-n-Play and Take Along sets. James hauls sweet treas for a celebration on Sodor! He pulls one cargo car full of ice cream and another filled with sprinkles!